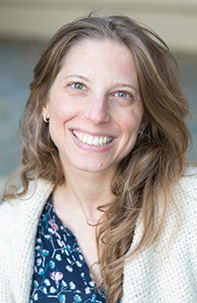 Cynthia Rajchman is a Licensed Marriage and Family Therapist and former preschool teacher who specializes in working with young children and their families. From newborns to adolescents, with new parents and experienced ones, Cynthia enjoys bringing families together through empathy and understanding, so mothers and fathers can become the parents they want to be, and children can achieve their fullest potential. Cynthia believes in working with the family system rather than with the child in isolation. Her therapeutic approach is rooted in Attachment Theory, into which incorporates elements of mindfulness and reflective parenting. Cynthia makes strong use of play and art therapy with children to help them express and work through their emotions in a safe and familiar environment. She has helped children and families who struggle with anxiety, depression, trauma, behavioral challenges, and life transitions. Cynthia earned a BS in Psychology from Hunter College - CUNY. She earned a Master’s Degree in Clinical Psychology from California Institute of Integral Studies, and a certification in Child and Adolescent Psychoanalytic Psychotherapy from the New Center of Psychoanalysis. She is also certified in Trauma Focused Cognitive Behavioral Therapy. Whether teaching Parenting classes at The Pump Station, lecturing at various preschools, or in her clinical practice, Cynthia brings deep expertise in the field of early childhood mental health and family dynamics.